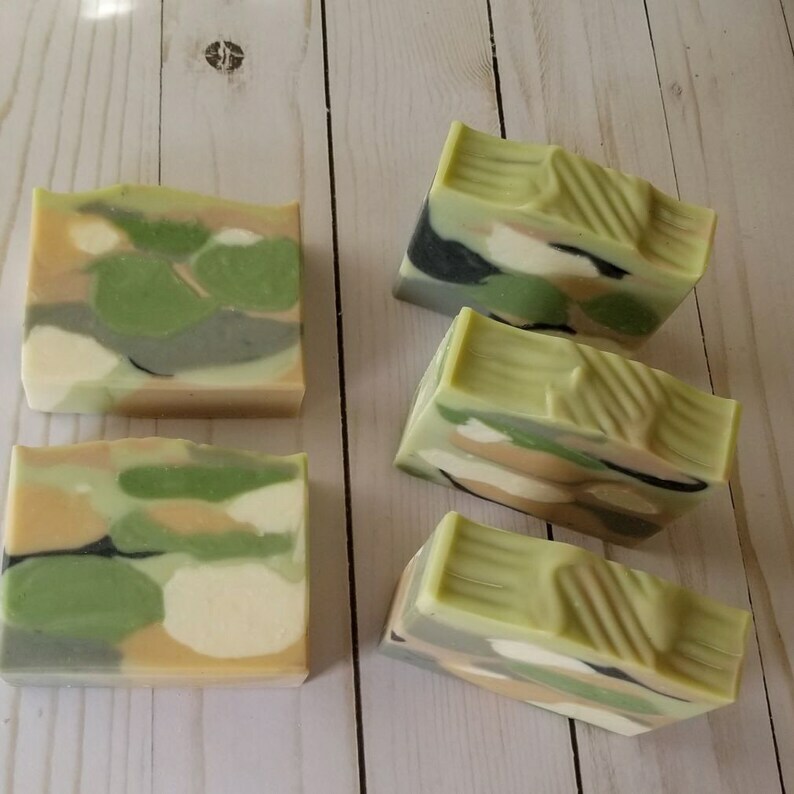 The camouflage soaps are awesome for the camo lover in your life. It is scented with Black Pepper fragrance /peppercorn, bergamot, oakmoss/ that is very similar to the Molton Brown cologne. Ingredients: Coconut Oil, Palm Oil, Olive Oil, Water, Sodium Hydroxide, Shea Butter, Kokum Butter, Colloidal Oatmeal, Fragrance, Activated Charcoal, Mica. No two bars or batches are exactly the same, colors and design may vary but they will always contain a variation of the ingredients listed above. The fragrance will make the soap dark brown. 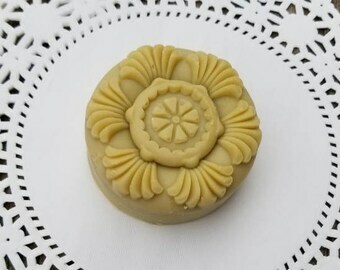 Handmade soap will last a long time if kept dry between uses. This listing is for one bar of soap.